Produktinformationen "DRAGON BALL SUPER MOVIE ULTIMATE SOLDIERS GOGETA FIGUR"
From Banpresto. The battle continues in Dragon Ball Super the Movie, an epic Dragon Ball movie depicting Goku's epic battle against the legendary Saiyan Broly! The intense determination of Goku, Vegeta, and Broly himself are preserved in Banpresto's Dragon Ball Super the Movie Ultimate Soldiers -The Movie- figure series that's as epic as the movie itself! Reaching a height of 7 1/8", Vegeta is captured in his Super Saiyan Blue form for this figure! He looks as angry and powerful as ever as he charges forward on behalf of Earth. 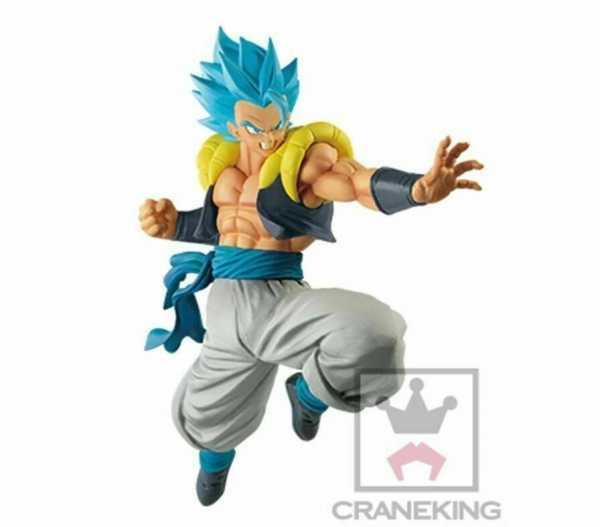 Weiterführende Links zu "DRAGON BALL SUPER MOVIE ULTIMATE SOLDIERS GOGETA FIGUR"
Kundenbewertungen für "DRAGON BALL SUPER MOVIE ULTIMATE SOLDIERS GOGETA FIGUR"